Struggling Minneapolis-based retailer is thinking big by betting on a small store, urban revolution. Target posted a 1.5% decline in same-store sales and adjusted earnings of $1.45 a share in the fourth quarter of 2016, badly missing estimates. The discount retailer has now seen same-store sales decline for three straight quarters. 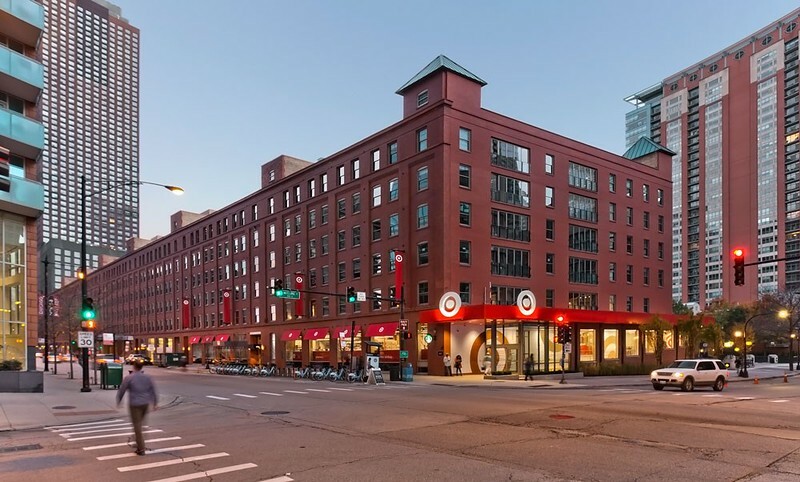 Amidst pressure from online retailers like Amazon, who plan to open a series of drive through grocery stores nationwide, Target is looking to ignite slumping sales trends by expanding into new urban neighborhoods with a small-store format tailored to each local market. The company announced that it is rapidly expanding a flexible-format storefront that is aimed at attracting Millenials and city-dwellers. These new urban-oriented stores will be less than 50,000 square feet in size. These small, urban storefronts are also tailored serve as pickup points for online orders. Comparable digital channel sales grew 34% in the 4th quarter of 2016 and accounted for 6.8% of the company’s sales, up from just 5% in the 4th quarter of 2015. 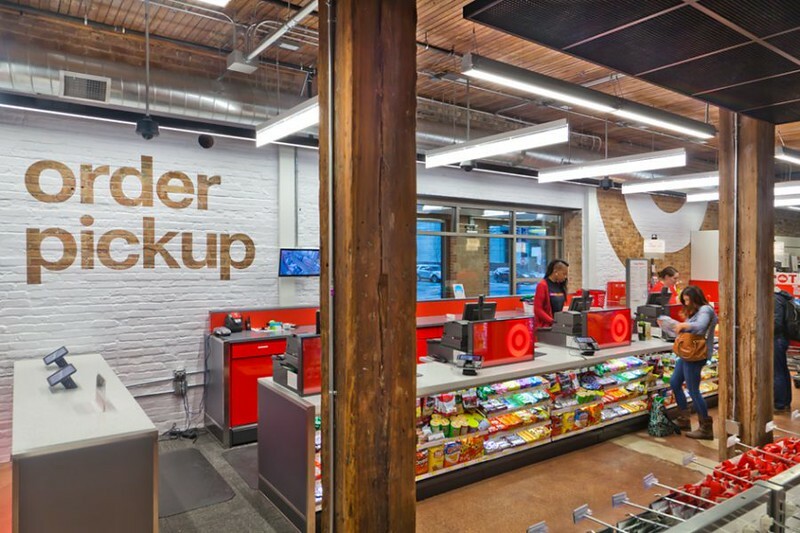 Target is accelerate efforts to grow their online channel, and tailoring urban stores to make ship-to-store merchandise pickups a convenient process is seen as a key strategy to capture urban customers increasingly purchasing everything from apparel goods to food over the web. 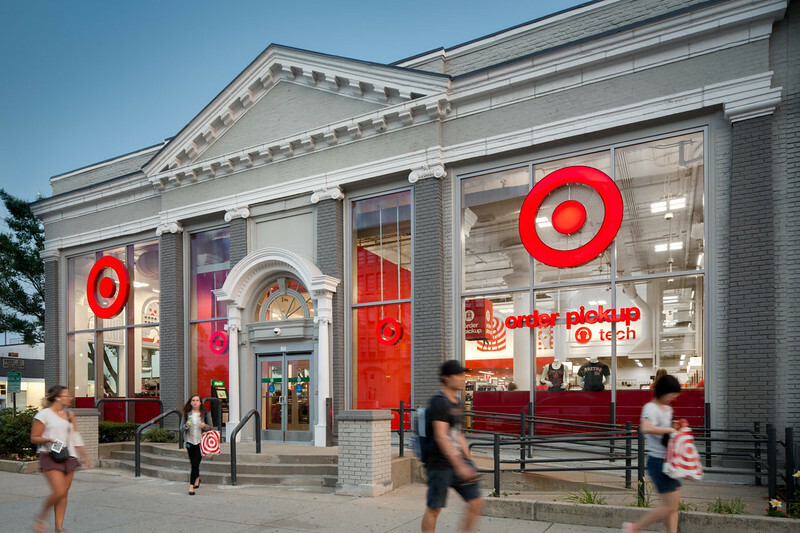 Of the nearly 1,800 stores that Target operate, around 32 are small-format stores. That small-format number is set to rapidly expand in 2017 as the company is looking to enter new neighborhoods such as dense, urban areas and college towns. The retailer has announced that will open 30 small-format stores in 2017, and plans to have 130 of such stores open by 2019. A 17,000 square foot urban store in Packard’s Corner near Boston University. Image Credit: Arrowstreet. After testing the urban store model in cities like Berkeley, New York, Chicago and Philadelphia, the company has tinkered with supply chains and refined a curated product mix that caters to neighborhood-specific demographics in the areas of apparel, home good, and food products with an emphasis on grab-and-go items. Over the past two years, results from these urban store formats have been encouraging. Sales and profitability within these flex-store models have exceeded company store averages. Target’s small format stores are meant to appeal to a couple between the ages of 28 and 35, likely with a young child at home. Not surprisingly, this is the same demographic sweetspot of the core Amazon Prime customer. 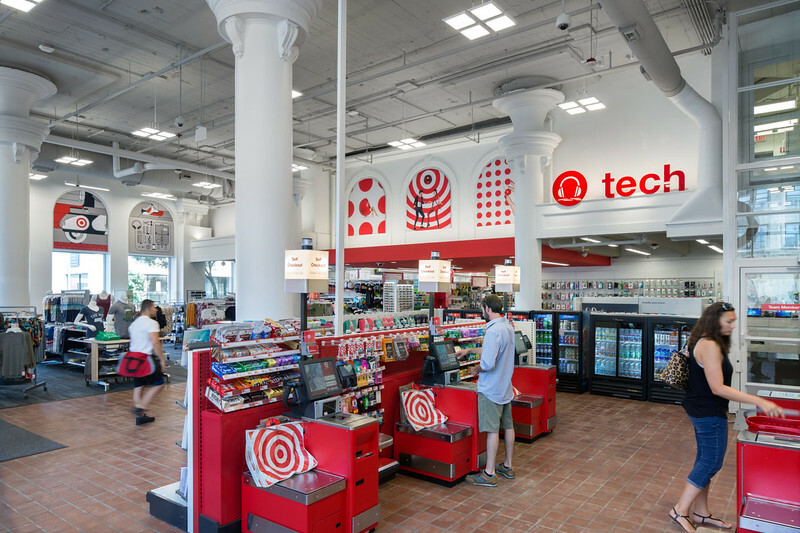 The stores are a major part of the company’s plan to rethink the store experience, and focusing on the stylish, but value-driven private-label products that once fueled Target’s popularity. And while the company has struggled with growing market share within their grocery business, the emphasis within the Target urban format on beer and wine, frozen food and grab and go sandwiches, salads and meals means the company can capture more frequent shoppers- instead of competing head-to-head against Whole Foods and Trader Joes, where it has clearly not found success. A view of the layout of a typical urban Target ‘flex-store’. Image Credit: Arrowstreet. 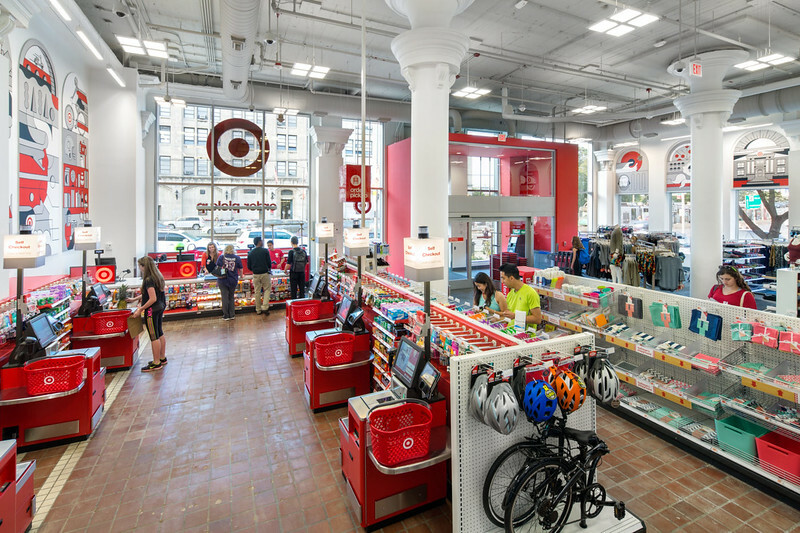 An additional image depicting the interior of Target’s new lineup of urban ‘flex-stores’. Image Credit: Arrowstreet.